TAREQ RANTISI was born in Jerusalem, Palestine. Self-taught, he started his career playing middle-eastern percussion at the age of twelve and as a young musician had already shared the stage with some of the most distinguished musicians and associations in the region, including Kudsi Erguner, Manfred Leuchter, Lotfi Bouchnak, Alessio Allegrini, Ilham Al Madfai, Edward Said National Conservatory,The French Cultural Center, Goethe-Institut, The Popular Arts Center and Alkamandjati Association. 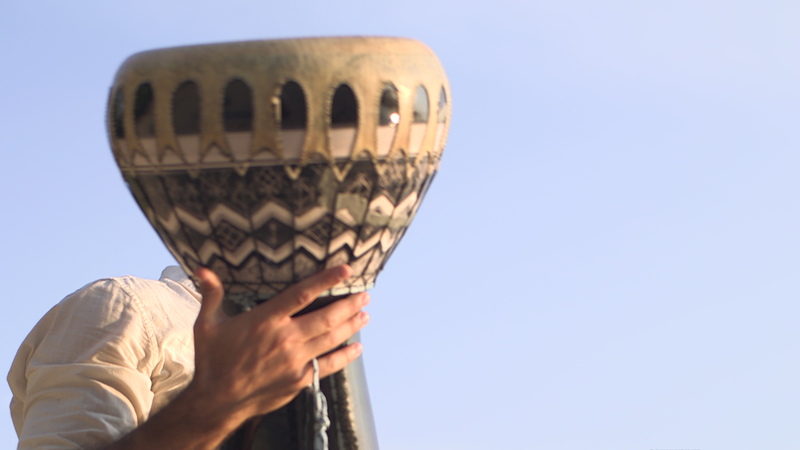 In 2008, Tareq received the Al-Qattan Foundation Music Scholarship to attend the prestigious Berklee College of Music in the United States, receiving a degree in Percussion Performance and graduating with highest honors (2012). During his education in Boston, he studied with numerous legendary musicians and educators: Jamey Haddad, Joe Galeota, Manuel “Egui” Castrillo, Ernesto Diaz, and Mikael Ringquist. Tareq’s studies brought him into a deep dialogue with styles from jazz to Afro-Cuban to Carnatic Indian to Brazilian and more. This broad range of study has allowed him to play virtually any percussion instrument and musical style with ease and incomparable musicality. Since arriving in the United States, Tareq has performed with some of the biggest names in modern music, including Jack deJohnette, Steve Smith, Paul Winter, Simon Shaheen, Aaron Goldberg, Srinivas Krishnan, Victor Mendoza, Husnu Senlendirici, Eguie Castrillo, Bertram Lehmann, Billy Drewes, Basam Saba, Mehmet Ali Sanlikol, Daniel Schnyder Bruno Råberg, Javier Limón, Pepe de Lucía, Glen Velez, Rima Khcheich, Ali Abdul Sattar, Sonia Mbarek, Charbel Rouhana and many other important virtuosic musicians, composers and groups. Alongside his musical performing career, Tareq has developed a body of educational work, offering master classes, workshops and private lessons throughout the world in collaboration with Boston College, Brandeis University, The Center for Arabic Culture, NAFDA, The Arabic Music Retreat, The Gaza Music School, Qattan Foundation, Al Kamandjâti Association, Kufiyyeh Center of Music, and Yamaha Music School.